The City Palwal got its name from a demon ‘Palawasur’ who ruled this place during the regin of Pandavas. Palwasur was killed by Balaram, elder brother of of Lord Shri Krishna. In his memory, every year a festival named “Baldev Chhat Ka Mela” is organised in Palwal. There is also a temple dedicated to Balaram near Municipal Office chowk. Railway Station of Palwal is the place from where Mahatma Gandhi ji were arrested first time. A historical building “Gandhi Ashram” was made in the memory of Mahatma Gandhi. During the British period, Palwal was a part of the Punjab Province and a part of Gurgaon district. Many persons from Palwal participated in the 1857 revolt against the British forces. Hayat Ali and Khairat Ali were martyred along with 17 people from Palwal only. Hayat Ali after arrest from his house was taken to Delhi and hanged. All male members of his family were ordered to be hanged. Large number of arrest warrants were issued. Interestingly, Tahsildar Palwal impersonate as Bangle seller like a Political decoy, went to the house of Hayat Ali, and saved Nazeer Ali (the grandson of Hayat Ali), who was merely 2 years old, inside a basket fully covered by bangles. He then left the child in the jungles of Nageena near Palwal. Ladies from the family of Hayat Ali, followed him, took the child from jungles and with cautious ultimately reached Tijara. Amongst the 17 people who were hanged in Palwal included the son-in-law of Hayat Ali, whose name was Iradat Ali bin Rustam Ali. When British forces chased the other family members from Pinangwan. The brother of Iradat Ali from Pinangwan, namely Karamat Ali could able to survive his life and ran away to Tijara. He latterly changed his name to ‘Zamin Ali’. On 15 August 1979, Gurgaon district was further divided to form a new Faridabad district, and Palwal became a part of it. 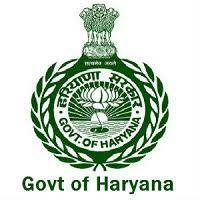 Finally Palwal became the 21st district of Haryana on 15 Augest, 2008.